Check what other employers are offering.Browse websites, check with recruiters and people you may know in the same field. Check with your own HR department to establish the criteria, responsibilities and pay scales for your current position and the one you aim to apply for. Approach your boss three months before review date. If you have an annual salary review this gives your employer time to allocate the slices of the financial pie – so you can get a bigger slice. Timing your request is important – make sure that your boss isn’t dealing with a personal problem or that there are no looming company issues , such as layoffs before you request a meeting. Go in confident. Have facts and figures at your fingertips and be positive. Convince your boss that you are worth the raise. If you are not convinced he won’t be either. Don’t expect charity. Your boss is not going to give you a raise because you chose to have six children or bought an expensive car. The only way you will get the raise or promotion is proving your worth to the company. Be realistic in your expectations. Asking for 30% more is not going to cut it with your boss. With the annual cost of living raises at around 5% the maximum you can ask for in your category shouldn’t normally exceed 10%. Take the title – it will lead to the money. If your boss offers you a better position with the title to accompany it but cannot offer a raise then take that title – your foot will be firmly on the ladder. Set out to prove you can live up to your new title and within six months you can meet again to chat about a review of performance and salary. Be a problem solver. Look at what issues your superiors are battling with on a daily basis and see if you can find a way to think creatively and provide a solution. Know your boss. You will need to know what time of the day is best to approach him – is it best early in the morning, or after 10am coffee break? Decide what method you should use – do you request a formal meeting or mention it when you are having a scheduled weekly report back meeting? It will depend on his personality. Do you have a blog idea? Share them in the comments below! Helping Great Companies find Great People Copyright © 2019 All rights reserved. 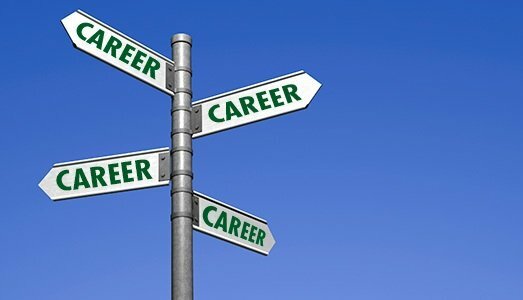 Sign up to receive FREE career tips!